The St. John’s Malankara Orthodox Church of India Rockland Inc. has been in existence since 1996. The Church caters to the spiritual needs of the Malankara Orthodox Christians in the Hudson Valley Region of New York State. Sunday services are held in our Church building at 331 Blaisdell Road, Orangeburg, NY 10962 from 8.30 am to 11.00 am. On the average about 180-200 people attend the weekly service. In addition, to the regular service, the Church also provides spiritual and moral education to the younger generation. 17 children are serving in the altar. Sunday School Classes are held every week from 11.00 am to noon. Every Sunday there is Sunday School, which encompasses Bible study, moral instruction, church history and instruction related to the Faith and Holy Sacraments. Our children are brought up in discipline to work hard and support this country and the Church the best way possible. In addition, we have Student Movement, Youth Movement, Ladies Forum, Couples Forum and Men’s Forum, who are engaged in different intra and interdenominational and social activities that bring amity and understanding in the community. The Current President and Vicar of the Church is Rev. Fr. Dr. Varghese M. Daniel. 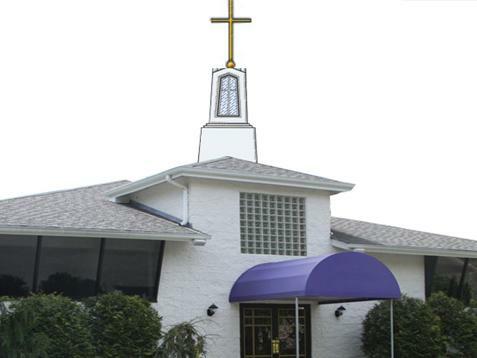 The primary focus of the Parish for 2010 was purchasing a property in Orangeburg, NY to be a place of worship for the congregation. On 11/23/2010 we purchased our own building at 331 Blaisdell Rd, Orangeburg, NY 10962 for $1.1 million which was converted to a church. The parish also own another old Church Building and 0.7 acres of land in Southfields, New York. This property was purchased from the United Methodist Church, Harriman, NY. Our Church is very active in charitable activities. In 2010, the major charitable activity that we participated in was providing humanitarian assistance to the victims of the earth quake in Haiti. Other activities include participation in the Joint Council of Churches (JCC) in Rockland County. JCC is an organization that promotes ecumenism and understanding between members of different Christian Faiths. Our vicar, Rev. Fr. Dr. Varghese M. Daniel is working as the current president of JCCR. In 2011 February we conducted a blood drive in cooperation with the American Red Cross. We also conduct many charity works for the poor and the needy in US and and abroad.